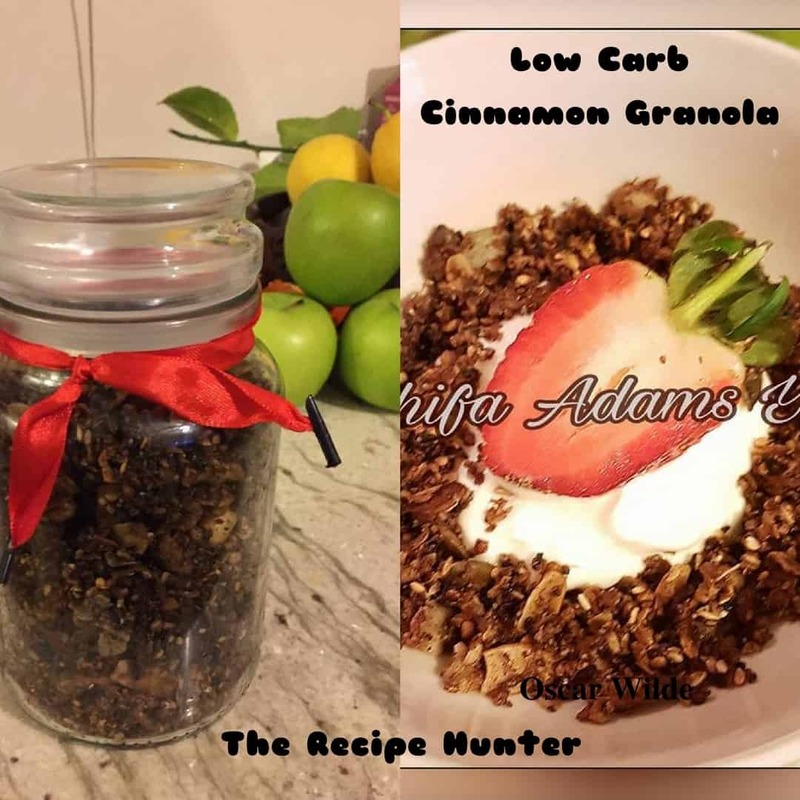 I made this cinnamon granola as a gift for a very good friend. It’s not only low in carbs but its wheat free and gluten-free as well. Melt the oil then add the rest of the ingredients and whisk well. Mix the egg in last. Place all the nuts, seeds and coconut in a huge bowl then pour over the cinnamon toffee. Spread out onto a lined baking dish and bake at 180C for 30 minutes. Turn the mixture over every 3-4 minutes to avoid the coconut from burning. Sharing this one with my daughter … it’s got her name all over it!